Ram Gopal Varma has once again teamed up with Amitabh Bachchan for "Department" and says the film will see the megastar playing a gangster-turned-politician. He also clarified that his next directorial venture is neither a sequel to "Company" nor a prequel to "Ab Tak Chhappan"
"All I can tell you at the moment is that Mr. Bachchan plays a gangster-turned-politician in 'Department'. Whom he's modelled on is open to conjecture and I am certainly not telling," said Varma whose last film with Big B was "Rann". "There are too many misconceptions floating around about the project. Mr. Bachchan is not playing a cop in 'Department'. It is not a sequel to 'Company' nor a prequel to 'Ab Tak Chhappan'," he added. The film, said to be the most expensive project of Varma, is being feverishly scripted. Details are being kept desperately under wraps since it involves some volatile characters. 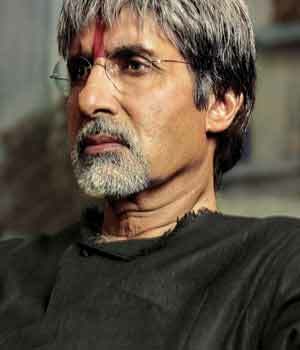 In the film, Varma wants Big B's character to be a kind of grassroot-level superhero. "I've always seen Mr. Bachchan as a hero of the masses. I want him to be cast as larger-than-life hero in 'Department'," he said. Interestingly, Varma who has cast Amitabh and Abhishek in father-son role in "Sarkar" and "Sarkar Raj", has not cast them in the same role in "Department". "No, Mr. Bachchan and Abhishek are not father and son in 'Department'. Abhishek and Sanjay Dutt are cops. They share a pupil-mentor relationship." In real-life too Abhishek looks up to Dutt. "That's why I cast them as mentor and pupil," said Varma. When asked about playing a gangster-turned-politician in "Department", Big B said: "Oh, is that what Ramu has cast me as in 'Department'? I've not yet discussed the antecedents of my role with him."